As the local authority of glass care and repair, Glass Doctor® of Langley knows the importance of maintaining the windows in your home for optimal comfort, efficiency and visual appeal. Weather extremes affect your home’s exterior, but structurally sound window units minimize the toll of temperature changes on the inside of your house. Our range of insulated glass units (IGUs) provides a barrier from weather effects keeping your home comfortable and reducing the cost of utility bills. Over time, double pane windows become susceptible to worn and broken seals, which compromise the effectiveness of the window unit. 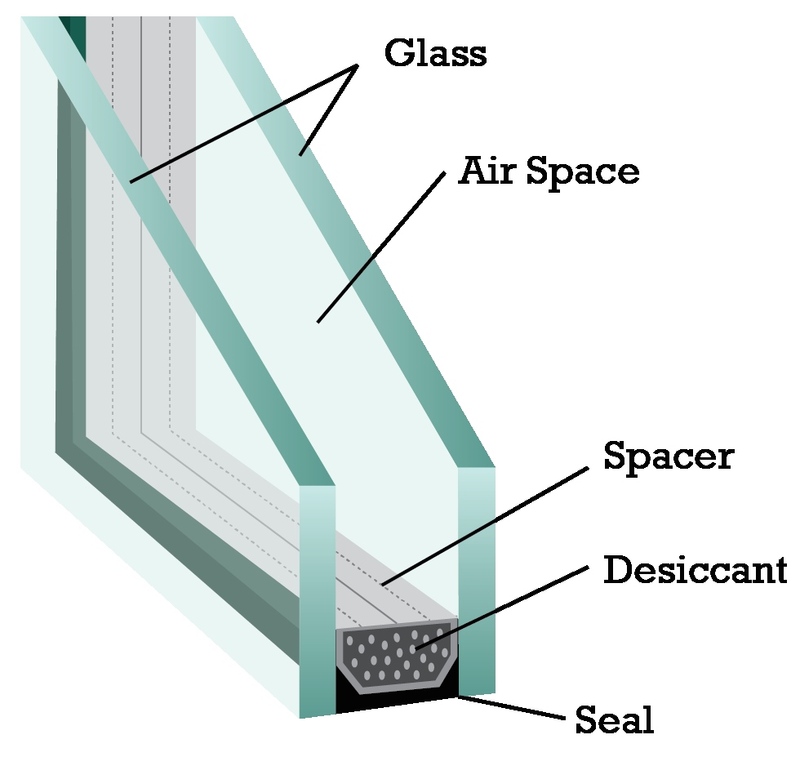 Condensation between panes or a foggy, milky appearance on the glass indicates damaged seals. Our experts have the skills and experience to repair or replace your window units. Keeping our customers safe and comfortable is our goal. Double pane window are an ideal addition to any home. IGUs hold the warmth inside your home in colder weather and keep your home cooler during the summer months. The unique design of these units blocks the transfer of heat through the glass and makes maintaining a comfortable living environment easy and affordable. Your heating and cooling systems run less, and drafts around your windows are eliminated. IGUs consist of two or more glass panes held in place by an insulating spacer. The spacer seals the area between the two panes giving the unit added efficiency. Often spacers are filled with a desiccant, which absorb moisture or a warm edge glass spacer for increased effectiveness. A premium-grade sealant is applied to the perimeter of the unit to prevent condensation accumulation between the glass panes. During a complimentary consultation, our experts walk you through available glass options and make recommendations for your home. Up-front pricing on materials and installation give you the assurance of professional service at a price you can afford. Double pane window repair and replacement is one of our many specialties. Glass Doctor of Langley takes pride in providing you with money saving and customized glass products. Often your windows can be upgraded by replacing the glass with insulated units, leaving your existing frames in place and saving you a great deal of money. Allow our team of experts to show you how double pane window repair will make a significant difference in your home’s level of comfort and the amount you spend on energy bills. Call or contact our team online to set an appointment!